It’s a simple story. One made stronger for the particulars: cowboy boots, a Band-aid, or the ice on a boat’s bumper. Though these details are evocative, Ang Lee’s “The Chosen” gets most of its charm from the odd couple at the centre: Clive Owen’s James Bond / Transporter type driver who helps people and the small Dalai Lama-esque boy he has to transport to safety. In many ways, the sweet simpleness of the dramatic connection between these two characters and the action genre that surrounds them sum up the polarities in Lee’s film career. His early films were melodramas like Pushing Hands and The Wedding Banquet. Though Taiwanese born and educated, he has made some of the most provocative films about America (The Ice Storm, Brokeback Mountain, Taking Woodstock) but more recently traversed into the action genre with his remake of Hulk (which he makes reference to in “The Chosen” with the boy’s choice of Band-aid). He is currently working on an adaptation of Yann Martel’s Life of Pi which should, too, bring together Lee’s various and sometimes contradictory interests. The contradictory interests mean that Lee makes genre choices his own. Car chases in movies, like sword fights, are for me bathroom breaks or chances to get popcorn. On the odd occasion they’re done well (The Bourne Supremacy) they are almost too stressful to manage. In Lee’s film, the car chase becomes a courtly dance, where cars don’t collide, but almost politely duck in and around one another (while this politeness is, nicely, undermined by the intermittent machine gun fire). 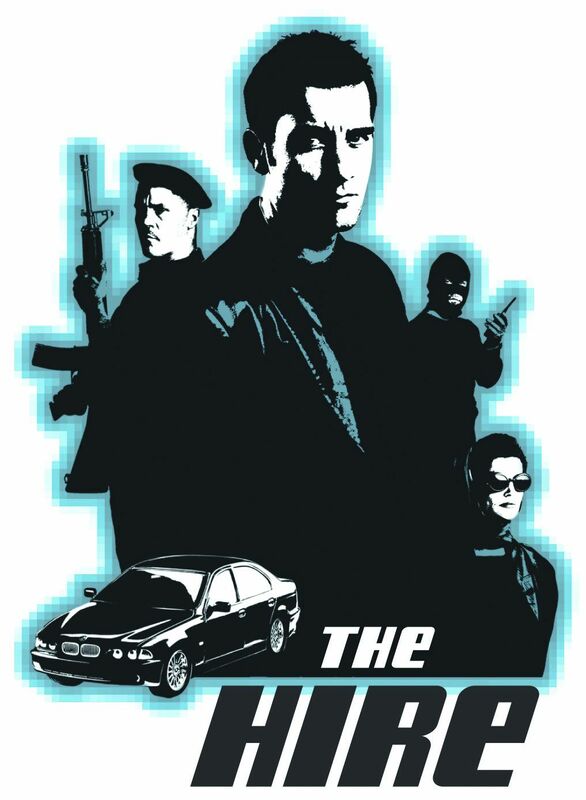 Driving is a the centre of Lee’s film because “The Chosen” is part of the BMW films project “The Hire,” a fascinating collision between the short film genre and the commercial market. Initially under the purview of David Fincher’s production company, BMW funded a total of 8 short films, each featuring a different well-known director and well-known actors. The directors chosen were John Frankenheimer, Ang Lee, Wong Kar-wai, Guy Ritchie, Alejandro González Iñárritu, John Woo, Joe Carnahan, and Tony Scott. Each of the films feature Clive Owen as a driver who attempts to help people. Among the other seven films are some great films too. Guy Ritchie’s foray (“Star”) has he and his then wife Madonna making fun of her diva reputation. Wong Kar Wai departs from his typically melancholic or bittersweet films (see the NC intro to “There’s Only One Sun”) with”The Follow” which has a dark playfulness to it. Most of the films are still available on the web. I wanna steal that and use it in a story. Careography. Sweet.